Okay ... Thanks so much!! what size will the princess dresses need to be? Any Idea of the size of dolls we will be using? I believe we'll be using Adrie Stoete's mix & match babies for that class. Nothing has been decided yet for kits as its so far away. This is the only discussion we've had on this. When Lara says Stoete kits, she doesn't necessarily mean the mix and match kits. I see the Vampling class says Bountiful Baby kits. Will these be any BB kit, or ones with the new "dead-grey" vinyl? I am planning on starting the class with basic neutralizing of all 3 of their colors. So you can use any BB kit and i'll get you to the main color, then move on from there. Karen is going to be working on the actual pallets for the skintones. Can't wait to see what scary little critters we all come up with with this class. In plenty of time for Halloween, too! I'm thinking I'm going to have some cool "props" to put outside! Yeah, I was thinking the dead-grey would work best, but if you're going to take us through neutralizing all 3 colors of their vinyl, that would be awesome for reference. I'm looking forward to seeing all the pale vamplings that come from this class! I was actually asking Lara, since she's the teacher. Any of the BB kits but if you want to sculpt fangs, I strongly suggest a kit with an open or at the very least a partially open mouth. Even though I have a Vampire phobia I am still participating in the class. 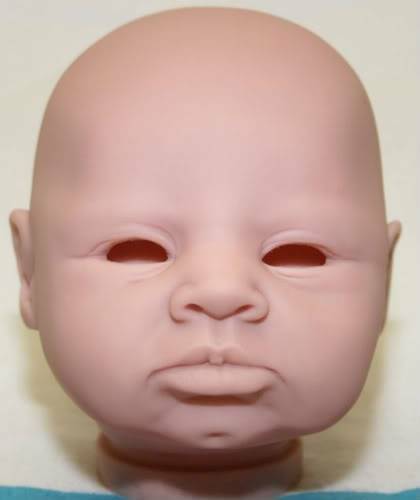 I bought a cute little costume for the Halloween Swap but it didn't arrive in time and wasn't suitable for my swap partner so I will be using that and I even bought a matching dummy! Right, like Taite or Quinton. Do they have any yawning babies? I've seen that done too. You could always do a ghost baby..? There ya go, but ummmm...these vampire babies won't be pink you know. My baby will be ghostly white with black hair. My Jaimee loves twilight so he will probably end up being for her 13th Birthday next December lol. I have Quinton and already have his wardrobe planed and satin bought. A ghost baby, I had not thought about that. I love Halloween, heck I love all holidays and always decorate at least my table for each season. I was thinking maybe try to do a pumpkin baby for fall or I wish i could figure out a cabbage head for cabbage baby. I guess there might be a use for those 10" to 17" babies after all. I want a baby I can snuggle. You could get a fake cabbage (do they make those?) or some sort of leaf thing and make a little hat that looked like a cabbage. Well, Vampires aren't really my thing either, so Karen will be doing most of the lessons for the scary stuff. I think that making a vampire baby is going to be interesting. I may end up giving mine to my sons fg because she LOVES twilight! I think getting the tone to look very pale, but not weirdly white should be an interesting challenge. I will be making mine a bit beyond the goth baby though....but definately with black hair and very red lips. Can I make a pretty vamp baby? I'm hoping!!!! I contemplated a Snow White baby at one time. The one thing I was certain about is that she would not be wearing the tattered rags costume nor the one you see in most of the pictures - blue, yellow red. As a baby wouldn't she wear something European from that era. After all she wasn't born in the dress we associated with the Disney version. Then I tried to figure out when and where that story was created. Hum - didn't really come up with anything definitive. One thing if she were born a princess - her dress would be the best quality available for the time. It is prior to 1812 and in Germany and I still have no idea what babies, even princess babies wore then. I just acquired a book that has baby clothing going back to 1858 and lo and behold the first dress - looks almost identical to the Christening gown wore by Franklin Roosevelt in 1882. And I have the full scale pattern! Bad news is it took about 3 weeks to make. That was partly due to two errors in the instruction - but it was a difficult pattern and had lots of lace. 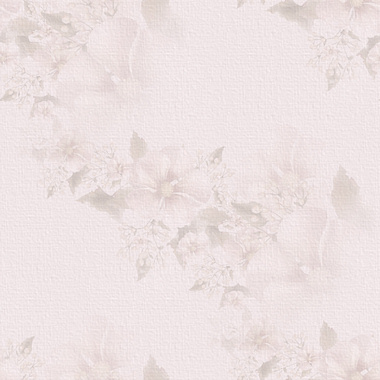 Does anyone else have any illustrations - patterns? I don't know when the camera was invented, but it was after 1812 - when the Grimm brothers published Snow White! They do but they are pretty pricey. Real cabbages keep well - at least until they are cut. Maybe just take off the outside leaves, soak them in water, with a little sugar or Vodka. Then arrange them around the doll/baby - not in the hot sunshine, unless you figure out how to keep them in water. You could cover them in Syran wrap in the middle - so baby stays dry and leave stay wet. Then do your photographs. Cabbage likes cool - so add ice to the water. Yeah, I'm not doing blood...I'm sure Karen's will be much more gorey for those who want to go that route. I can picture what my baby will look like, though....we'll see if I can get her to match what I'm picturing in my mind. The Vamplings class will have options as you go along. I'll show you two ways. One prettiful and one ghastly. If I have time I might try my hand at some fake leaves if I can find green suede. I would have to work on veining the leaves in the right place depending on size of baby. I have to make the vampire costume and princess dress. Heck I wish I did not have to work so many hours a week. I would love a 40 hour work week. Why not felt? Nobody loves felt anymore! Felt would make it quite fast to finish the leaves, too. I think it would be a good idea to separate the Princesses, Vamplings and whichever classes - some people will totally shun the vamps. I not only will not participate in Vamplings - I won't even bother to look. I just say NO to the Occult and all things related - PERIOD. or where you meaning, have seperate threads to discuss them? Yes I do mean separate threads - this one is already really long and each is special and could easily be separate. Karen - deleting is a drastic response - not suggested, nor recommended and possibly unwise. Starting different threads that support each class and announcing them here would help us follow each class we want to participate in. It's like a train that reached St Louis, Mo and the connecting trains are Memphis, Tn, Saint Paul Minnesota and New York City, NY with flights to Transylvania, Hungary or wherever it is in Europe. You have to know I'm old - my solution is a train! Well, I could delete every comment that doesn't directly pertain to the Class Sale itself if you like. I think people can read through the thread and take what they like. Most will just skim the thread at this point...it's pretty long. That's why I started a new thread today about the sale. LoL ... Lyndie ... You ALWAYS make me smile! Thank you for that! I love reading your posts! I loved it when you said "sometimes I go off in a different direction and need to be re-directed" (or something like that) I think you and I are a lot alike!! That is SO me!! Wow, im trying to catch up...a vampire class and disney princess class...hummm...lara dear are you running out of ideas or just getting creative! lol Really though, its kinda neat i think.....not sure about the vampire class...maybe we can do a baby swap around that time, our babies could be a halloween swap baby! I will take it all in before then, i would have to say no bloody lips for me though...im not into vampires and never saw the twilight movies, just not my thing......im sure i would be able to sell it though....with all the twilight fans and all! I love the princess idea and i am thinking paris also!! I.might use felt if I could find the right color. I was just thinking suede and I could easily put two pieces together and glue some wire between layers to get them to stand up around my baby. even do some embroidery for the veins. I sure wish I had time to do all my ideas. ...I sure wish I had time to do all my ideas. I think this aaaall the time! 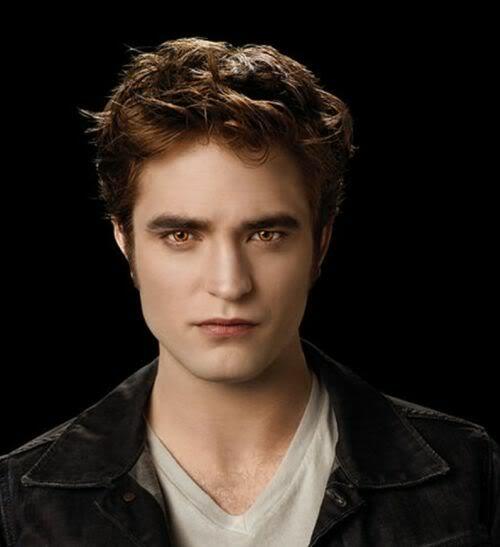 I'm definitely not doing a gory vampire, but a pretty vampire, like Edward. The princess idea will be the Strawberry and cream, but an advanced version, as I am redoing all the older classes. The princess is just to make the contest part interesting. The vamplings was asked for me to do, and since it's not my thing, I will be getting help from Karen on that. I still really want to do the Olive Skin and a beginner DVD, but I don't think I have time this next year. So, not really running out of ideas...just trying to get everything in that people keep requesting. Oh yes, he is pretty!!! TO be perfectly honest I preferred the Werewolf. My self and some girl friends were having this whole vampire verses werewolf conversation one day in McDonalds, if I remember right. We all had reasons why we preferred one over the other and it was finally my turn. I told them I preferred my men hot and hairy over cold and hairless any day. There was an older gentleman sitting in the booth next to us whom when I said that sputtered on his coffee, and chocked. Poor guy I thought he was going to need the Heimlich maneuver. My girlfriends were then all buzzing about maybe I was right. LOL It is amazing how people eavesdrop on conversations sometimes. I would love to do a werewolf baby too. I have all these ideas in my head and not enough time to even plan them much less do them. Rachel, that is a great match, pouty lip, cleft chin and eyes, perfect! Debora, that must of been so funny with that guy listening in to you and your friends talking about hot werewolves! Thanks, Barb. I'm looking forward to the Native American Indian skin tone class, so I can paint the class doll and Jacob at the same time. Then when it's time for the Vampling class, I'll paint my class doll and Edward at the same time, and be ready for the release of the final movie in November 2012! 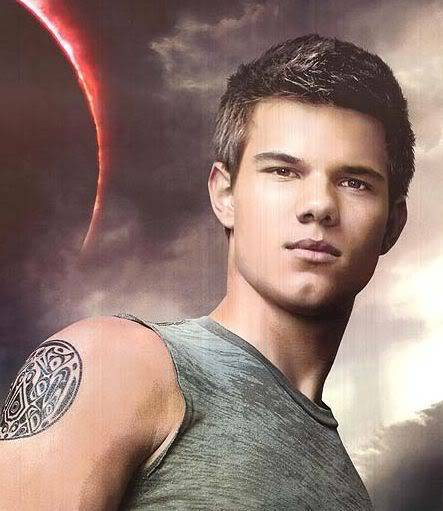 I am not a Twilight fan but I think Jacob is cuter! Now that will be one beautiful baby.